On Sept. 29, twenty-two police officers were arrested for allegedly participating in the attacks and murdering six people in Iguala, allegedly carried out by group members of Guerreros Unidos, a drug cartel. Julio César left behind his wife and their three-month old baby girl. According to local media, the 22 police officers will face a trial for charges of murder and abuse of power. 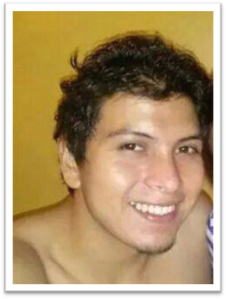 Two days before the arrests, the body of a 22 year-old student was discovered in a street of Iguala. The body was found with his eyes and facial skin removed. According to the Mexican news outlet animalpolitico.com Julio César Mondragón Fontes, was arrested by the municipal police, tortured, and executed. Three days after the attacks, the Mayor of Iguala, José Luis Abarca, declared he had no information regarding the students and denied any connections to the incident.